When treating your pet and yard for fleas or ticks, check with your veterinarian for safe substitutes. 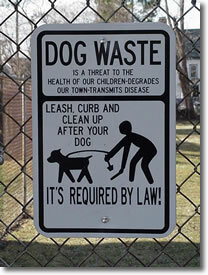 Never dispose of flea dip liquid on the ground or in the storm drain. It should be disposed of as a household hazardous waste. Visit www.state.nj.us/dep/dshw/rrtp/hhwcps.htmfor a list of county household hazardous waste disposal centers. 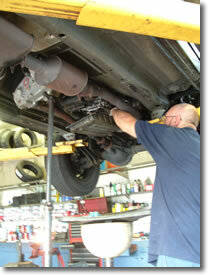 Take your car to a service center to change oil or antifreeze. If you do change your own oil or antifreeze, do it in a garage, never on the street. Use a self-contained oil pan and discard the oil at a local service center for recycling. 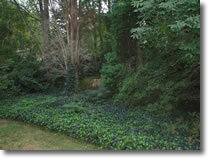 NEVER discard oil, gas or antifreeze into a stormwater drain. Antifreeze should be discarded at a household hazardous waste facility. Visit www.state.nj.us/dep/dshw/rrtp/hhwcps.htmfor a list of local household hazardous waste facilities. If you use water-based paints, rinse paint brushes in the sink. If you use oil-based paints, you can filter and reuse the thinner used to clean brushes. 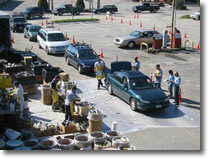 Dispose of thinner through a local household hazardous waste program. 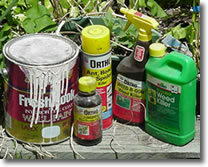 Visit www.state.nj.us/dep/dshw/rrtp/hhwcps.htmfor a list of local household hazardous waste facilities. If you are working on a home improvement project, dispose of drywall and hardened concrete and mortar in the trash or visit www.nj.gov/dep/dshw/lrm/classb.htmfor a list of recycling centers. Do not rinse concrete or mortar from a bucket or wheelbarrow into the street; dilute the mixture with water and rinse it into an area with vegetation or gravel.